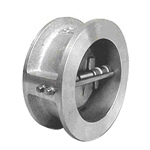 Our premium quality Dual Plate Check Valve is fabricated from high grade raw material that assures high strength to the structure. The Dual Plate Check Valve, served by us is in huge demand in industries like chemical, pharmaceutical, construction, and water treatment. 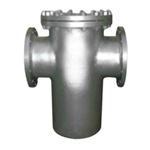 The Y Type Strainer that we provide to our customers is highly reliable as it performs in a very efficient manner. Along with its other attractive features the Y Type Strainer can be easily availed by clients all over India at the most reasonable rates. 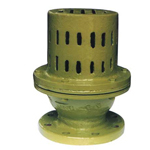 We provide Basket Type Strainer that is used in varied applications and has various attractive features. 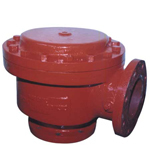 These are appreciated for their perfect performance less pressure drop and thus have a huge demand in the market. 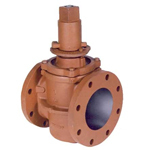 The Plug Valve, offered by us is constructed from premium grade raw material that offers high strength to the structure. Our Plug Valve is highly efficient that renders consistent performance for longer time period. 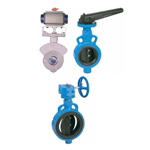 We are considered as one of prominent Ball Valve Manufacturers in the national market. 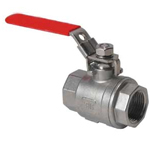 Our high quality Ball Valves are highly appreciated in the market for their efficiency and durability. The Ball Valve, offered by us is widely used in various industries like water treatment, chemical, construction, pharmaceutical, and many more. 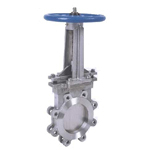 We provide Knife Edge Gate Valve that is designed in accordance with industrial standards. Our Knife Edge Gate Valve is highly efficacious that offers consistent performance for longer time period. 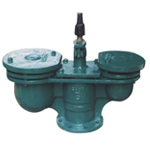 We offer Knife Edge Gate Valve at the market?s leading price. We are proud to introduce our Alarm Valve, which is used in various Fire detection and Fire extinguisher systems. In case of fire the Alarm Valve gives waking sound for immediate action. Our Alarm Valve are designed an manufactured in conformance to the International UL Standard, using Cast Iron or Cast Steel parent materials. The range of Alarm Valves is tested for efficiency where we having set of pumps, pipe line and water tank infrastructure. The Deluge Valves manufactured by us finds application in Fire detection, Fire extinguishing systems. 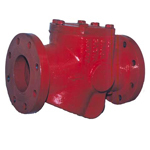 Manufactured using Cast Iron / Cast Steel parent materials, it is also tested for flow capacity in our factory where we have set of pumps, pipe line. Deluge Valve is manufactured in adherence to International UL Standard and in case of fire its supplies water immediately. We are manufacture premium quality Butterfly Valve (Wafer Slim Seal) that is highly admired by the clients of different industrial segments. Our Butterfly Valve (Wafer Slim Seal) renders consistent performance for longer period of time that too without requiring any maintenance work. 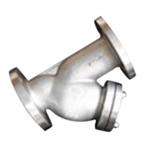 We bring forth our exclusive range of Air Valves, which finds application in high length water pipe lines. Mainly used to prevent the water pipe lines from collapsing due to vacuum created by stoppage of air, the Air Valve offered by us can be customized according to the client?s specifications. We are also engaged in manufacturing of Foot Valves, which is used to prevent emptying of suction pipe when the pump is closed. Our Foot Valves are installed at the end of suction line of all pumps where the storage source is under the pump?s installed position.